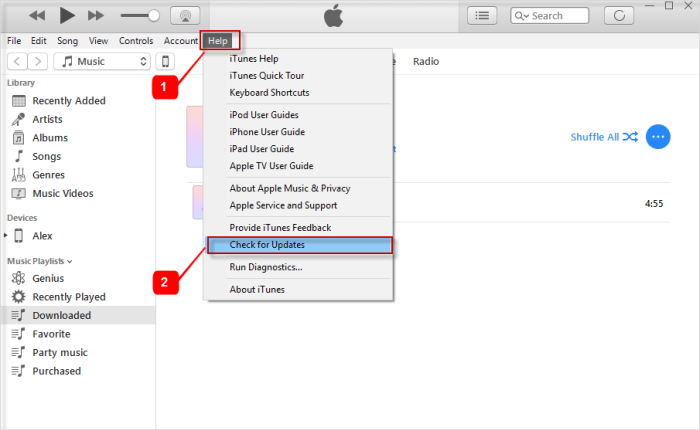 Fix iTunes Error 3259 - Here are the Easiest Ways! Fix iTunes Error 3259 – Here are the Easiest Ways! There are many variations in “iTunes Network Connection Timed Out”, but the most named is ‘iTunes Error -3259’. This error mostly occurs when downloading or updating an app on your iPhone, iPad or iPod touch via iTunes Store. Once Error -3259 pops up, you’ll find out that you are unable to complete the download. Learn what to do to stop this error message from reoccurring in the following paragraphs. On the other hand, the major reason for iTunes Error -3259 is due to problems with iTunes download center. Another reason for this error is ‘incorrect settings in Windows OS’. From the above, it’s evident that these iTunes notifications concerning Error -3259 are not helpful. Therefore, we shall be giving you some tips that would help you to fix iTunes error -3259. Step 2: Go to the menu bar and click Help > Check for Updates. Step 3: Follow the easy prompts to install the latest version of iTunes. If updating to the latest version of iTunes did not stop the Error -3259 notification, then uninstalling iTunes and re-installing its latest version can help to solve the iTunes Error 3259 you are facing. 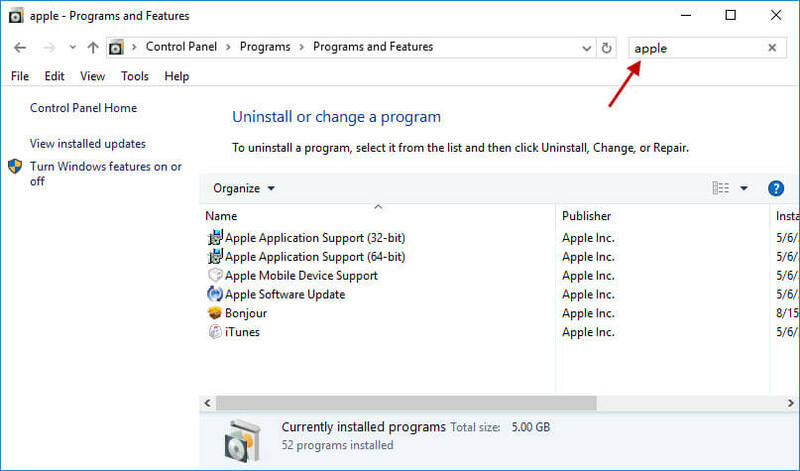 The steps listed below are of two parts: the first part deals with how to uninstall iTunes, while the second part handles how to install the latest version of iTunes. Check to know whether iTunes installed two versions of any of the programs. If it did, do uninstall all of them before restarting your PC. Installing Latest Version of iTunes: Download and install the latest version of iTunes for PC here. Try downloading your songs again with iTunes to see if the iTunes Error 3259 persists. Step 1: Press the Windows key, and click on the Search icon and in the search field enter “firewall.cpl. 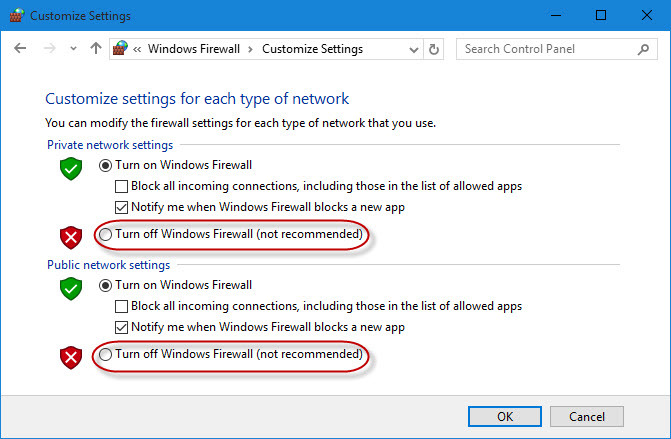 Step 2: click “firewall.cpl” > “Allow an app or feature through Windows Firewall” > “Change Settings”. Step 3: Check to see if iTunes is selected for both private and public network, and Bonjour selected for the private network only. Step 4: If iTunes and Bonjour are not listed, then go to C:/Program Files/iTunes/ or C:/Program Files/Bonjour/ for iTunes and Bonjour respectively. Then open the files, and click “Add” in the Add an app window. Step 5: Once they have been added, you can now click OK on the Allowed app window. Step 6: iTunes is now allowed, and you can close the Windows Firewall. Step 1: Open your Window’s Control Panel, and click System and Security > Windows Firewall. 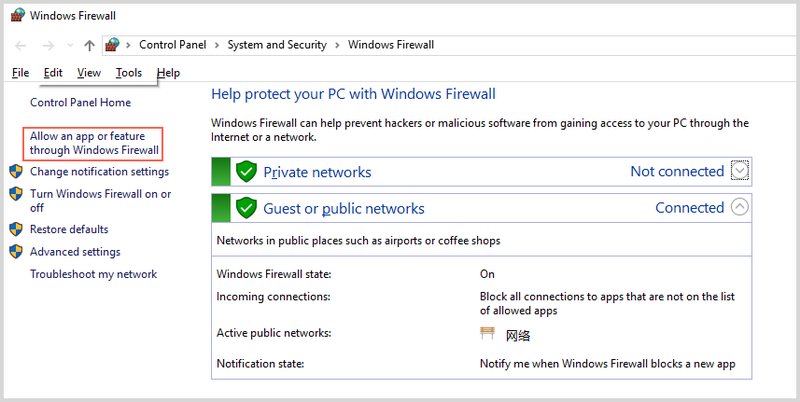 Step 2: Disable Windows Firewall by clicking “Turn Windows Firewall off”. You can enable your antivirus when iTunes is running well again. If all the solutions listed above does not solve iTunes Error 3259, then there is one solution that won’t fail – iMyFone TunesMate . This iPhone transfer tool can freely transfer your media files between iPhone and computer/iTunes. It can also sync iTunes library, rebuild damaged and corrupt library, and transfer all kinds of iOS files. With TunesMate, you won’t need to bother yourself about iTunes Error 3259 because all your media transfer needs will be met. 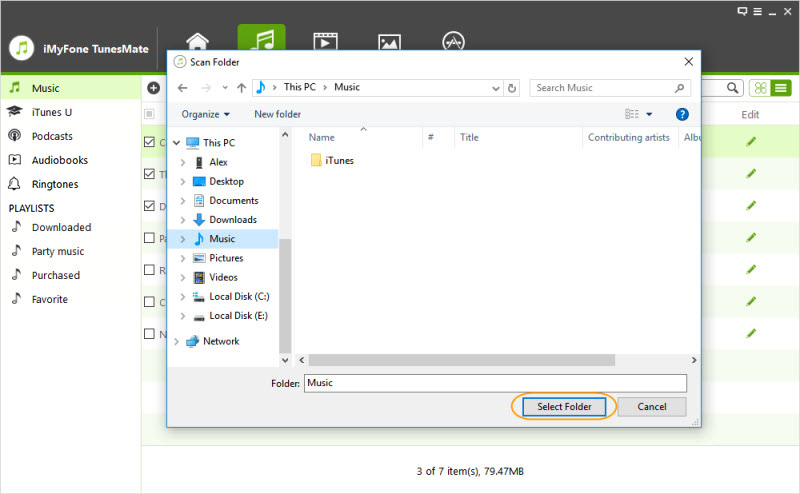 Transfer media files such as music and video from iTunes/PC to any iOS device. Backup and restore your iPhone files anytime without experiencing any error. Supports the transfer or import of all kinds of iOS file. Step 1: Launch iMyFone TunesMate and connect your iPhone to your PC using a USB Cable. Step 2: Click “Music” tab on the top bar to open the music window. 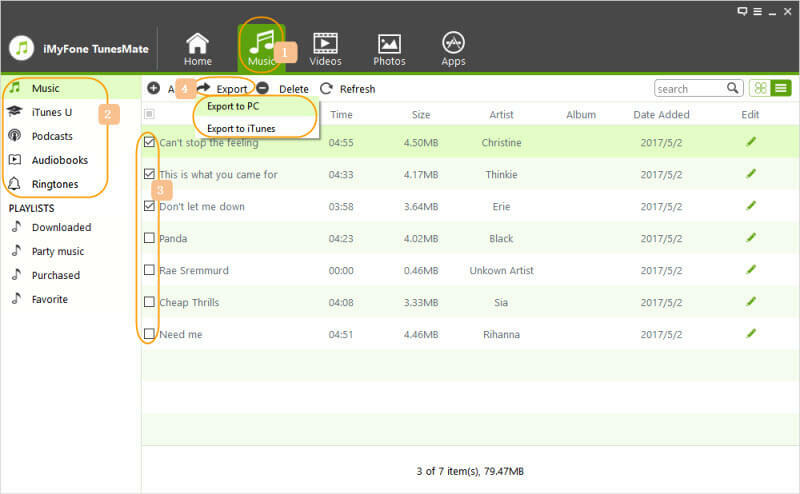 Then, tick the songs you would like to transfer and click “Export > Export to PC”. Step 3: Browse and select the folder where you would like to back up your files, then click “OK” to complete. Step 4: The program will display “Export Successfully” at the end of the transfer. You can click “Open Folder” to view the exported songs.